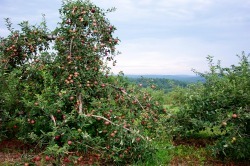 Pick-Your-Own apples in one of the oldest and most scenic apple orchards in New England. 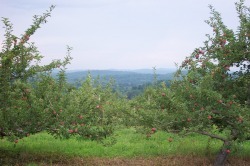 While taking your pick of a large variety of apples, you can also take in a breathtaking view of the surrounding towns. Take a hayride through the orchard to our expansive gardens where you can Pick-Your-Own pumpkin. With more than five acres of pumpkins boasting 20 different varieties, you are certain to find your perfect pumpkin to carve! 12:00 p.m. - 5:00 p.m. Saturday, Sunday and on Columbus Day.